Americans don't know how to eat. Looking at their overall state of health, it would seem they don't know what to eat. Somehow, we've been duped into believing that there is little difference between the apple you buy at the store and a candied apple you get at an amusement park. Have we even considered what God has to say about out food intake both physically and spiritually? Jesus came to give us life abundant life. Are we making choices that lead to that life in all its fullness, or are we going to settle for some kind of run-of-the-mill existence? Let's stop blaming others and take charge of our health! 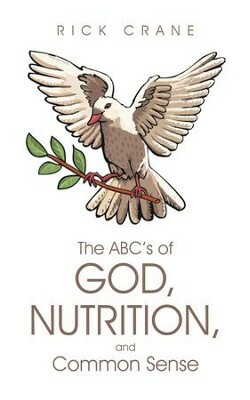 I'm the author/artist and I want to review The ABC's of God, Nutrition, and Common Sense - eBook.